I hope you had a great Halloween – I certainly did! It’s been quite a weekend here, and it all started with my very own Halloween party to ring in the most evilest of nights. 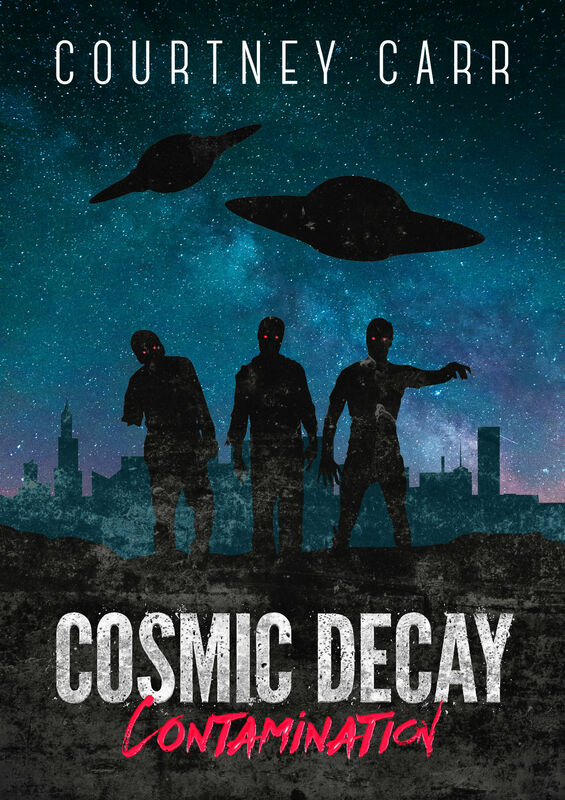 Held at my own apartment that I share with my fiancee, we were originally going to go for a zombie theme, but ended up trolling the cheapy stores in the mall and coming up with a hell of a lot of fake dismembered limbs. 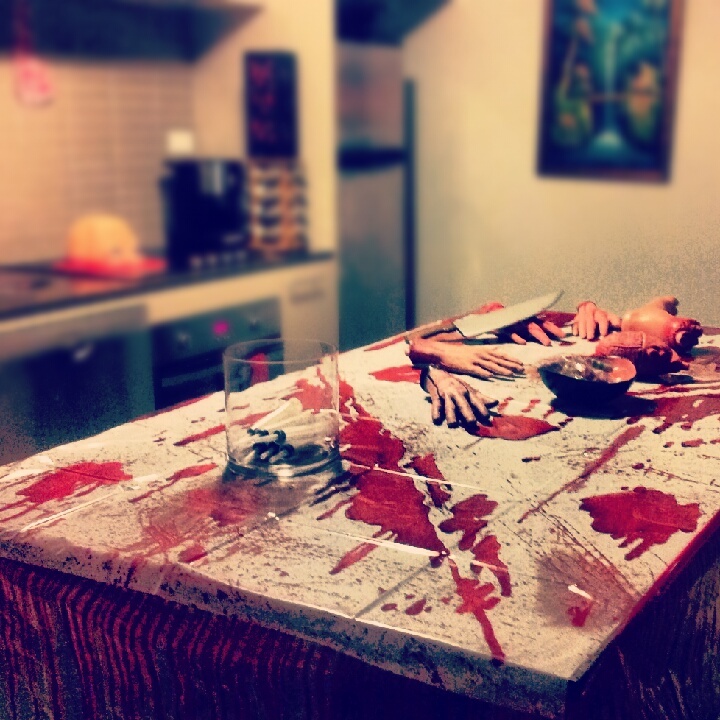 After seeing some wrapped on a butcher’s styrofoam plate in gladwrap I decided to turn our kitchen into a terribly gory meat market – serving human parts on the menu! We had an old blood drip table cover roll from my last horror themed 21st party which we hung around the side of our island in the kitchen. Then we had a plastic sheet that we got from a cheap store and taped it over the island, giving it a blood smeared look. We hung up fake limb bunting in the kitchen to give the appearance of “drying out”. Then we arranged the fake hands and feet, plus a butchers knife, all over the island to give that meat market look! The rest of the house featured spider webs and spiders hanging from the ceiling and on the furnishings. We had a few spare cauldrons left over from the Horror 21st and we filled them with candy and chocolate and other “treats” for guests to enjoy. We also had these amazing decorational finds in the form of hologram pictures! They were small portraits that when you moved they changed and became haunted images. It was a great find for $2.50! 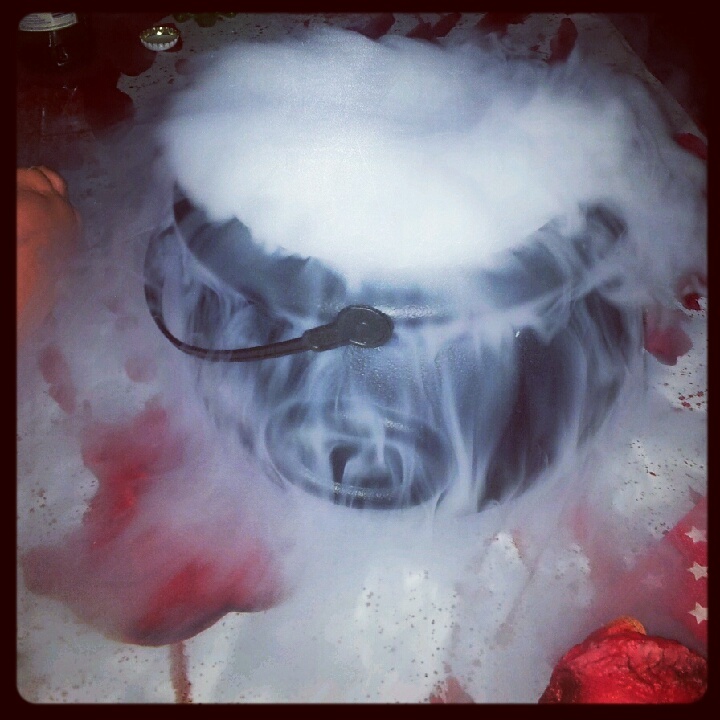 Throughout the night, a guest of ours that was dressed up as Death went around putting dry ice in various things, creating a great illusion! 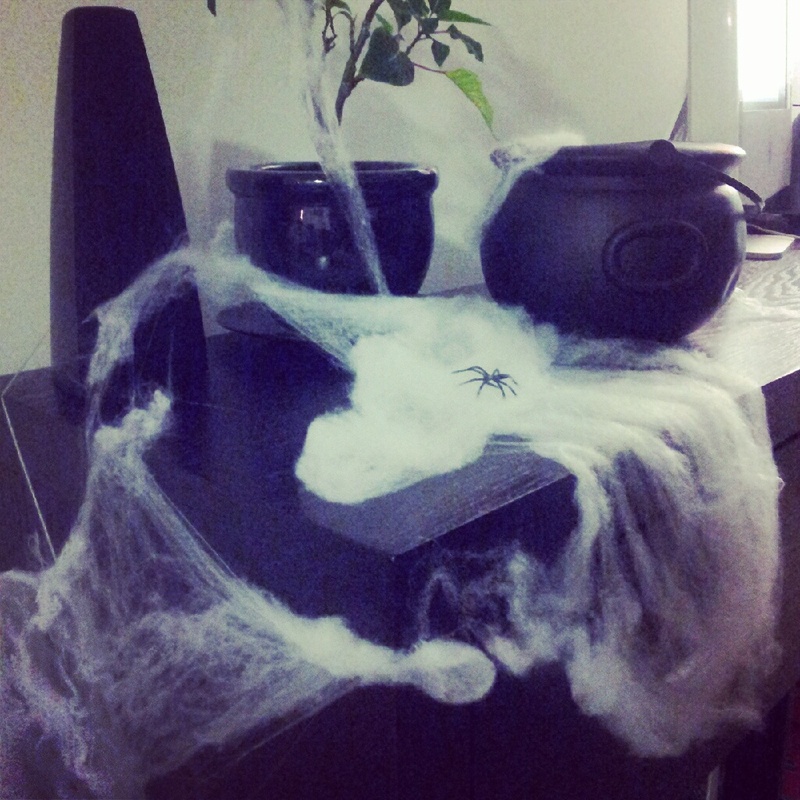 He put heaps in an empty cauldron to give an eery effect to the outside area! 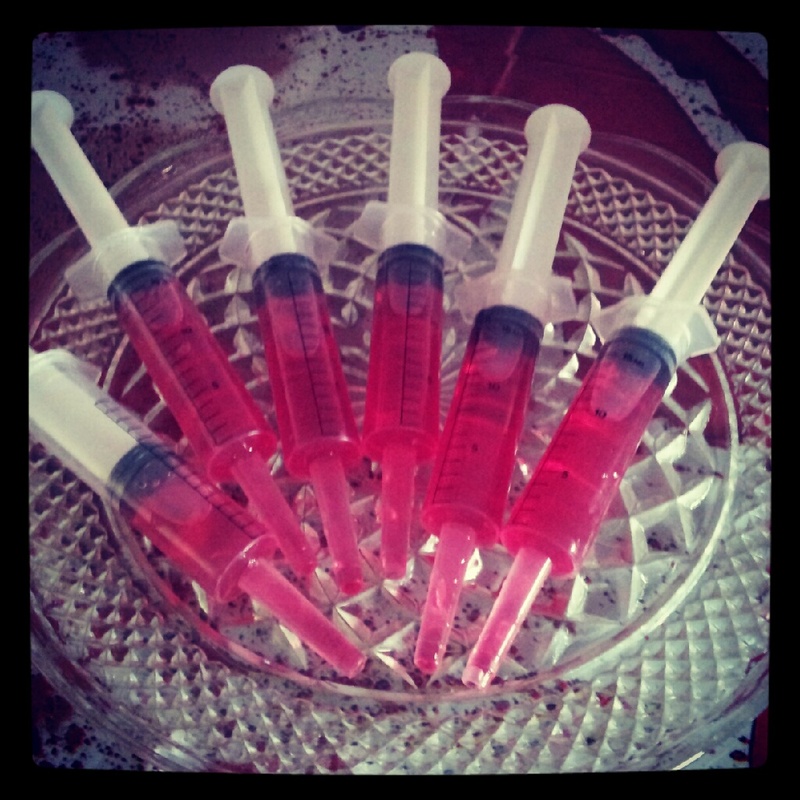 And of course a party wouldn’t be complete without vodka raspberry shots in syringes! Popular amongst the guests! If you had an awesome Halloween party I want to hear about it! E-mail me at thepartyconnection@hotmail.com. Welcome to The Party Connection! 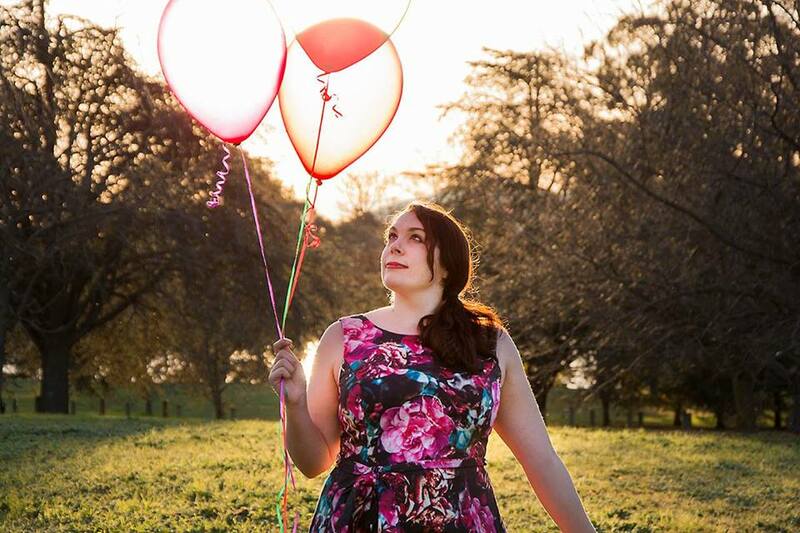 I'm Courtney Hope, and I love planning themed parties, writing, and travelling the world. I adore cupcakes, bunnies, bunting and dogs, and if I had a super power it would be the power of party inducement. I hope The Party Connection inspires you and you have a magical celebration!